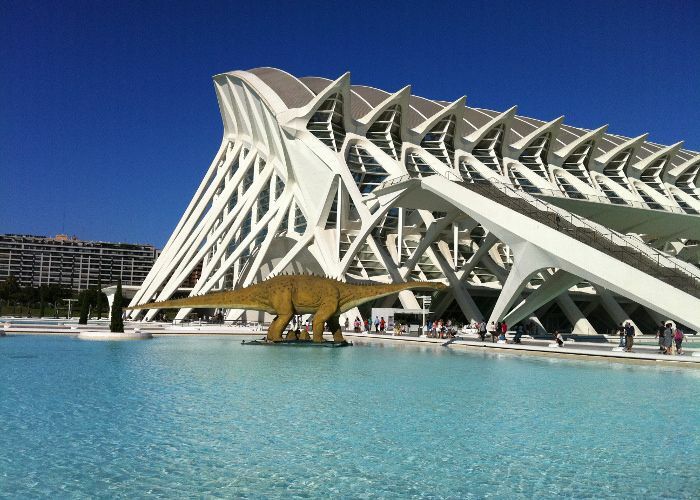 If you plan to visit Valencia, you should set up an itinerary and try to visit as many of the below city attractions as possible. You can enjoy part of these landmarks with an organized tour such as Hop-on Hop-off bus tour that you can book while in Valencia. A fun fact that you should also know about Valencia is that the Turia river was artificially diverted through outside the city after the tragic flood of 1957. The river banks in the city now hosts an amazing park with fountains and pools (Garden of the Turia) and culminates with the City of Arts and Sciences architectural buildings. The park allows cyclists and pedestrians to cross much of the city without the use of roads. The bridges across old Turia river were preserved, cars traversing therefore the park without interfering with the relaxed atmosphere of the place. Check TripEconomy.com for booking hotel rooms at great rates in Valencia, with an offer of over 250 hotels spread in all the key points of the city.